Tell your guests to grab a drink and find their seat! 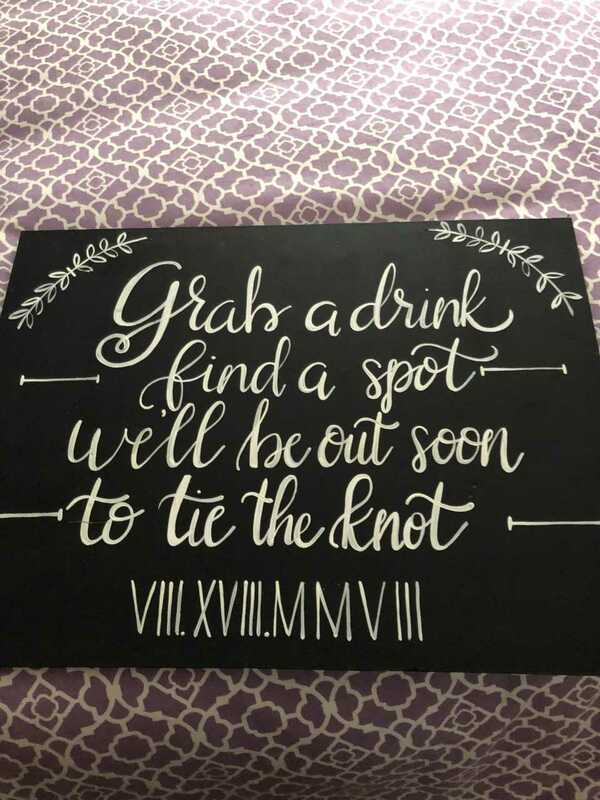 Has roman numeral wedding date on it. Hand lettered in chalk on a sturdy black sign.